Turkey Breast, Turkey Broth, Contains 2% or less of Dextrose, Salt, Sodium Phosphate. Browned in Vegetable Oil. 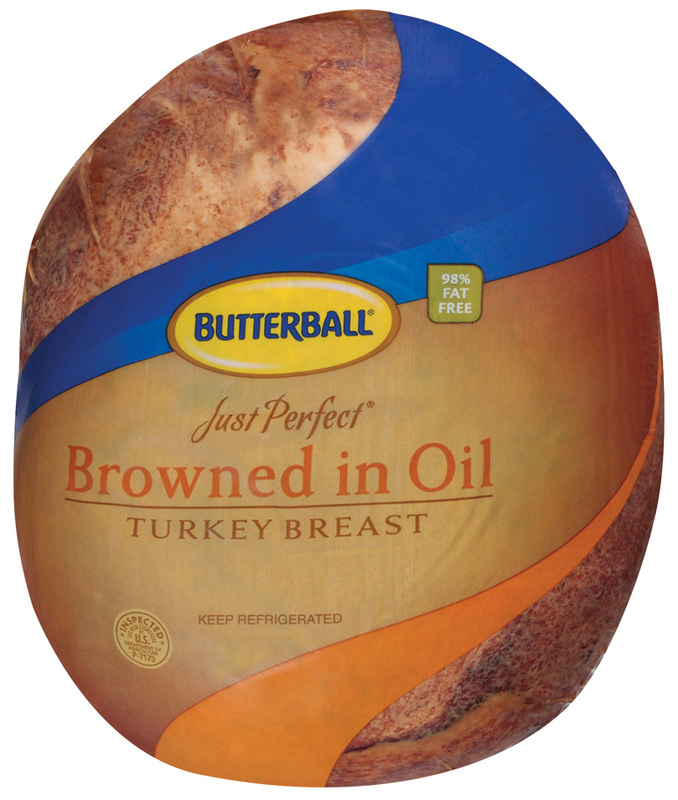 Premium, Whole Muscle, Clean Labeled Turkey Breast Browned in Vegetable Oil for a Great Appearance and Added Flavor. Designed for Carving or Thicker Slicing for a Premium Sandwich. Made from only breast meat for superior flavor and customer satisfaction. This clean label product contains no additives for superior texture. Product is whole muscle to deliver superior texture; perfect for center of the plate applications. The product is golden roasted for a dome shape appearance; perfect for carving stations and maximum yield. Fully Cooked, Ready to Eat, can be heated to desired serving temperature for carving station applications, slice or carve to desired thickness. ABOUT SAMPLING OUR Just Perfect Browned in Oil Turkey Breast.